What a great turnout for the Spring 2013 Crawl! Thanks to all of the yarn crawlers who made their way across the Triangle to visit our wonderful local yarn shops. The combination of The Hunt and the very tempting Grand Prize encouraged an outstanding number of crawl participants estimated at 80 to complete the challenging journey of visiting all nine participating yarn shops. A quick shout out to those ladies who came all the way from Virginia Beach – We hope you enjoyed yourselves! 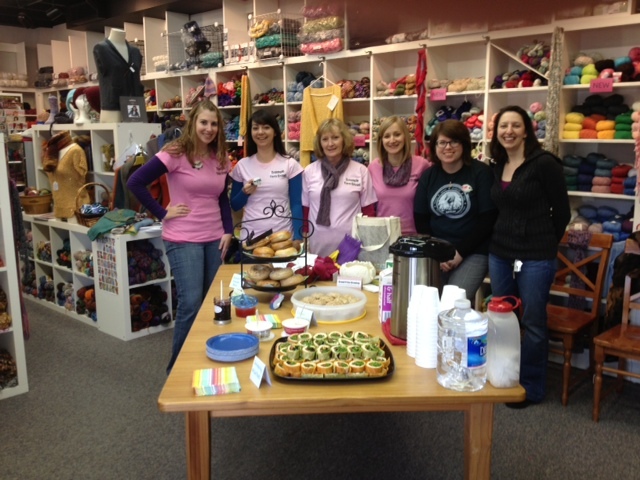 We enjoyed meeting everyone who attended the Crawl Kickoff at Great Yarns bright and early Saturday morning. The first 20 attendees were greeted with a Triangle Yarn Crawl project bag and an extra raffle ticket for door prizes. 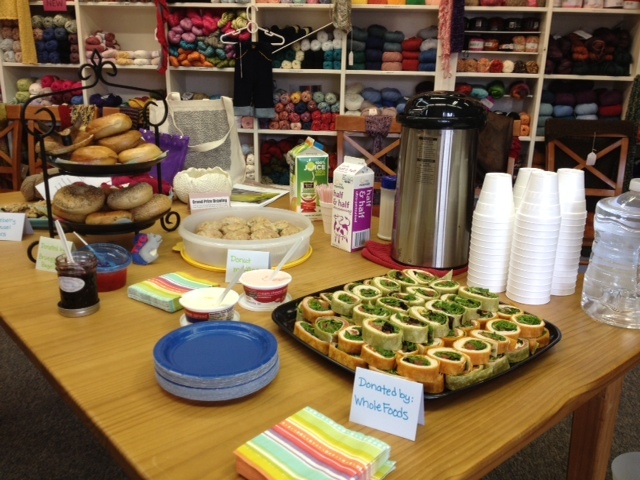 We had a variety of bagels from Bruegger’s Bagels and pinwheels from Whole Foods of Raleigh and more baked goods provided by yarn crawl organizers. Here’s the doughnut muffin recipe for those of you who loved them. Our local designers Mari Chiba of Mari Knits and Rohn Strong of Strong and Stone made The Hunt possible. We hope everyone enjoyed searching for the stuffed TYC symbols hidden throughout the shops and figuring out the three word phrase. Be sure to redeem your Ravelry coupon code before it expires on Sunday, March 31st. Thanks to our wonderful yarn shops who put together great promotions and raffle prizes full of goodies, and to Cascade Yarns for donating additional raffle prizes. Congratulations to all of our LYS Raffle Prize winners! We apologize in advance if we’ve misspelled your name. With support from our great sponsors, we put together quite an impressive Grand Prize made up of beautiful patterns and yarns from Avillion Farm, Berroco, The Fibre Company, SweetGeorgia, Quince & Co. and Swans Island along with neat project bags and a very cute zippered pouch from Namaste, a beautiful clay yarn bowl from my mother-in-law Barb (the first of it’s kind), and handknit-friendly soap from Soakwash. Congratulations to Brenda Wills who won! A huge thanks to our Sponsors, especially sustaining sponsors like Carolina FiberFest and all nine Triangle-area yarn shops, and TYC Organizers Michelle, Jessica, Gail, Nicole and Lauren who made this event possible. We couldn’t have pulled it off without their support. THANK YOU! Do you have questions, comments, ideas about the Triangle Yarn Crawl? 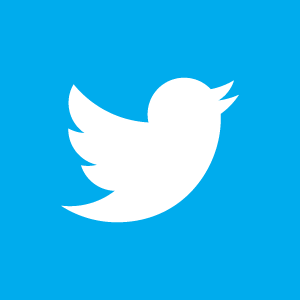 Share them via our Contact page and we’ll respond as quickly as possible.